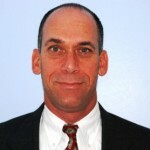 Steve Clapp joined iSixSigma 7 years, 3 months ago. Veteran change leader; 20 years leading cultural, productivity, and customer experience transformations in financial services, e-commerce, and not-for-profit organizations. Successful mentor and coach to others to improve their technical and leadership abilities. Sought-after facilitator at conferences and seminars.